Well after 2 weeks in Mexico soaking up some vitamin “D” (sunshine) and cool beer to counter act the heat it was time to be back on the bank again. 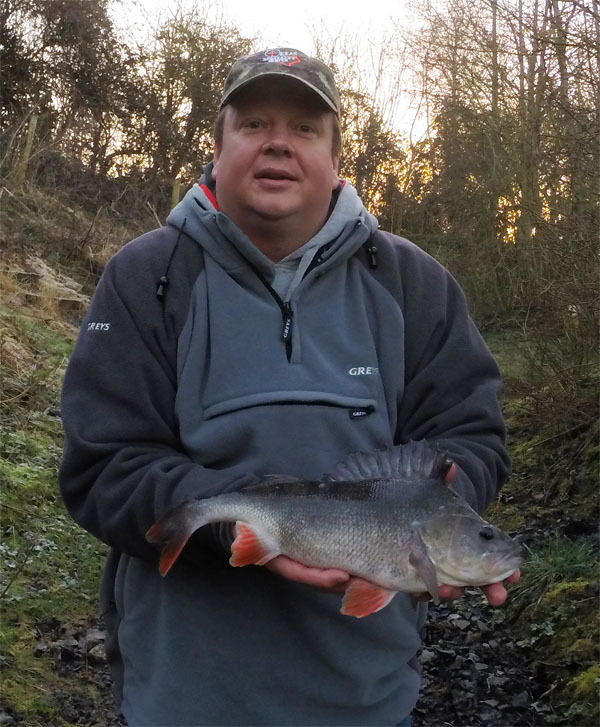 First stop was a very short 3 hour perch session on a local pool……..result blank although I had to leave before the last light. 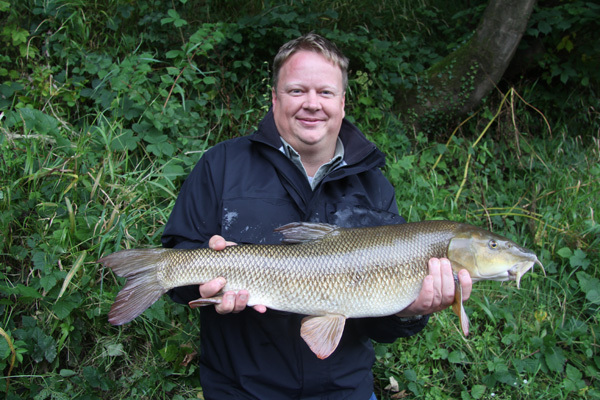 The second session was with Chris on the D.Stour. I had been worried about the height of the river over the weekend however it dropped really well and looking at the level at 4am before setting off made me feel much better. Normally 0.8m it’s fishing well however at 0.74 was even better. However my heart sank to the bottom of my boots when I saw that the river had too much colour in it. It was clearing. Chris and I worked our socks off with the maggot approach and even the boilie produced nothing. I was gutted to be fair and seldom fail however this was something that I just didn’t expect. Those who fish with me will know I work really hard in trying to achieve the goals. Chris said it didn’t matter as he had learnt so much. Most of the locals failed too. The only chub caught was a 6lbs 7oz one from a regular who used luncheon meat. So not a good start after the holiday. The next session was with Mike and John. I’ve have guided them last summer with Ross. Unfortunately Ross couldn’t make it so it was John and Mike that I took to a Somerset pool with a good head of perch. I picked John up at 5.45am and we were at the fishery by 6.45am where we found Mike waiting for us. So swims selected and rigs set up with prawn Mike didn’t have long to wait, in fact it was the very first cast and the bobbin moved up in a jerking lift. I’m not saying too much about the strike as my lips are sealed. After a bit of a bird nest Mike landed a beautiful perch of 2lbs 13oz beating his best by a long way. 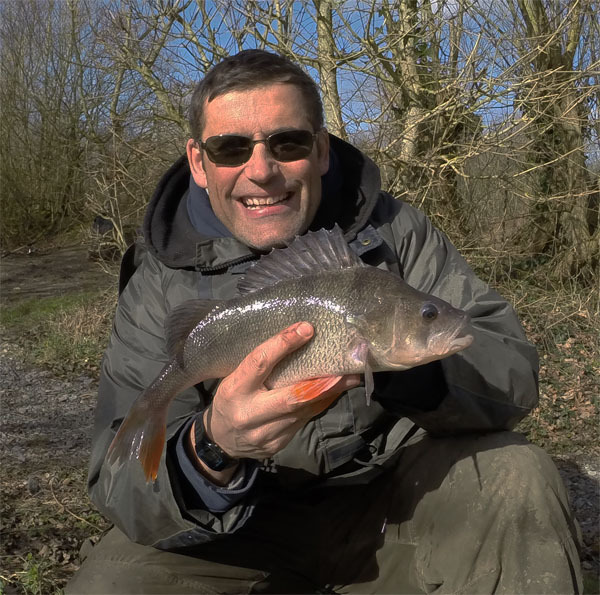 The weather was kind to us however clear blue sky’s and lots of sun didn’t entice the perch to feed like they normally do. John had found a perfect area out of the sun and tempted a lovely perch of 1lb 11oz. I was so pleased for him. The fishing was not going to plan. Bites were difficult to come by. However both Mike and John caught a good few more perch but nothing over 2lbs. They were fat with spawn so perhaps they had something else on their mind. So not the best of session’s but both had good fun.. This entry was posted on Monday, March 2nd, 2015 at 8:29 pm	and is filed under Uncategorized. You can follow any responses to this entry through the RSS 2.0 feed. Both comments and pings are currently closed.